Breezing through airport security? For some, it’s about as likely as seeing a unicorn. Emily Harris And Her "Passport". But for 9-year-old Emily Harris of South Wales, it was her toy passport featuring a photo of a pink stuffed unicorn toy that secured her passage through the security line at Turkey’s Antalya airport. Emily’s passport was technically a novelty item included with her stuffed animal, which was purchased at the Bear Factory retailer. The cover of the passport reads, "European Union, United Kingdom of Great Britain and Northern Ireland." OK, so far, it's understandable and somewhat official looking. But then, the passport case shows the silhouette of a bear's head with the words, "Design A Bear" written below in childlike, golden colored scrawl. The inside of the passport is even less authentic looking. 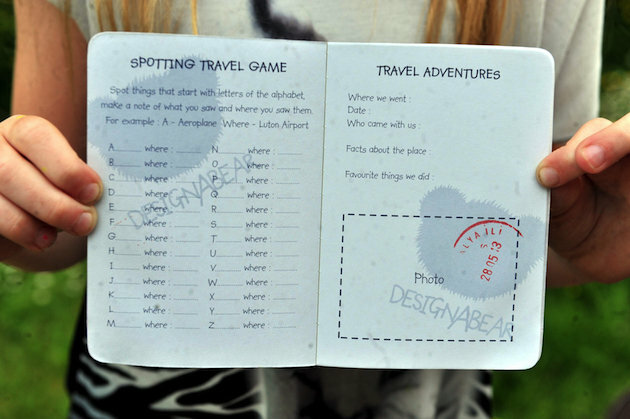 Where an individual's personal information and photo would normally be located are instructions for a children's game using letters of the alphabet to designate places the child has visited. There's even another "Design A Bear" logo scribbled across the page. The following page includes space for the child to document "travel adventures." When Emily passed through the airport’s customs, she emerged with a stamped set of documents in tow. Only thing is, it was the unicorn’s passport that had been given the official stamp of approval. The Inside Of The Unicorn Passport. The Bear Factory company’s website notes the love and care it puts into each stuffed animal. But how exactly could such an unrealistic looking toy animal pass for a real girl? “The passport doesn’t even look real―it’s got gold teddy bears on the front and was a completely different size from mine and my husband, Allen’s,” Nicky added.